Don't you love finding items in your closet again which you completely forgot about? This bolero is one of those items and when I found it again this morning, I immediately chose an outfit for it. Tonight, I'll go to Oona's press days with my friend Hille and it seemed the perfect opportunity to wear the jacket. I decided to keep the rest of the outfit simple, since the jacket is quite an eye catcher itself. Of course, you can expect a full report of the press day I'll attend tonight! 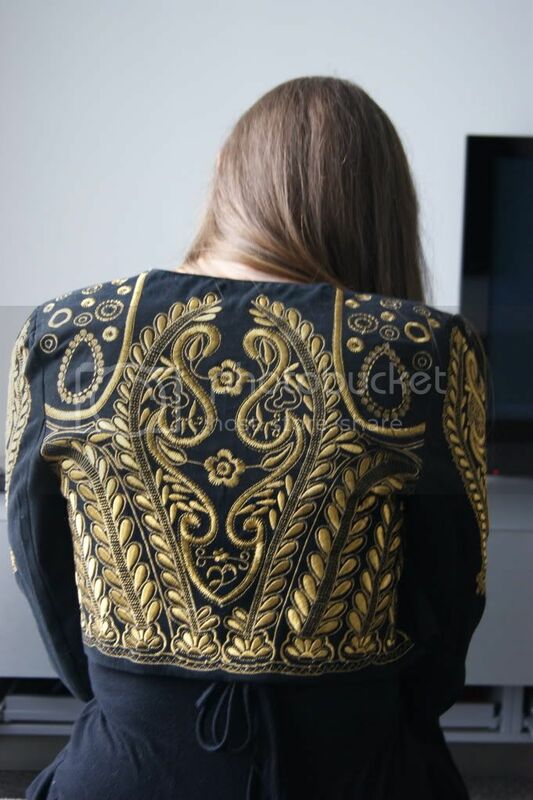 okay now I am really jealous… what a perfect bolero! You can wear it with so many things and it is always going to look perfect!!! 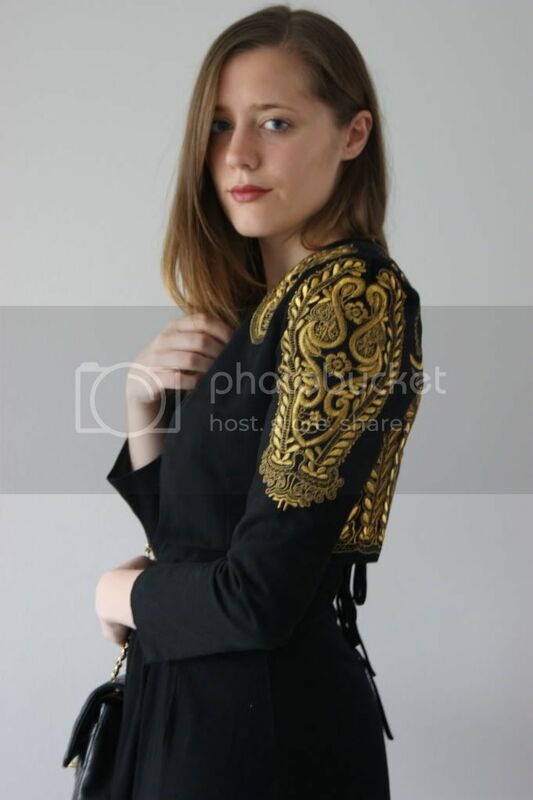 I have nothing to make my look perfect, oh wait, I have this gorgeous black bolero. Every girl should have a bolero like that!!! You look smashing, I am sorry I cannot stop looking at the bolero, the details are perfect, just perfect. Have fun girls tonight. Damn girl, you are so divers, look at your last posts, they are so differently styled, but every time again you look gorgeous and impeccable. WOW, that bolero is awesome! Hope you had fun at your event! Waauw echt supermooi met da goud :) staat echt super bij u haar! So cool, that you can speak Italian! 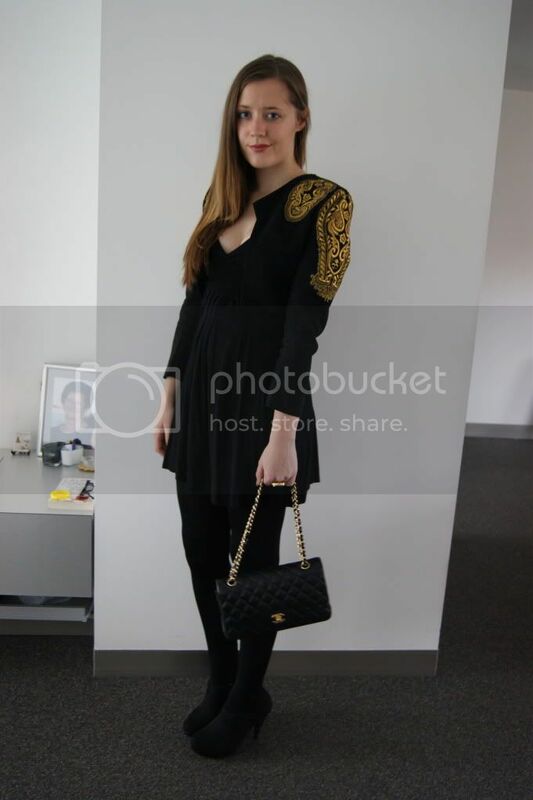 Super outfit! Die bolero is echt prachtig!